I am determined not to let summer end yet. This color reminds me of summer fun. 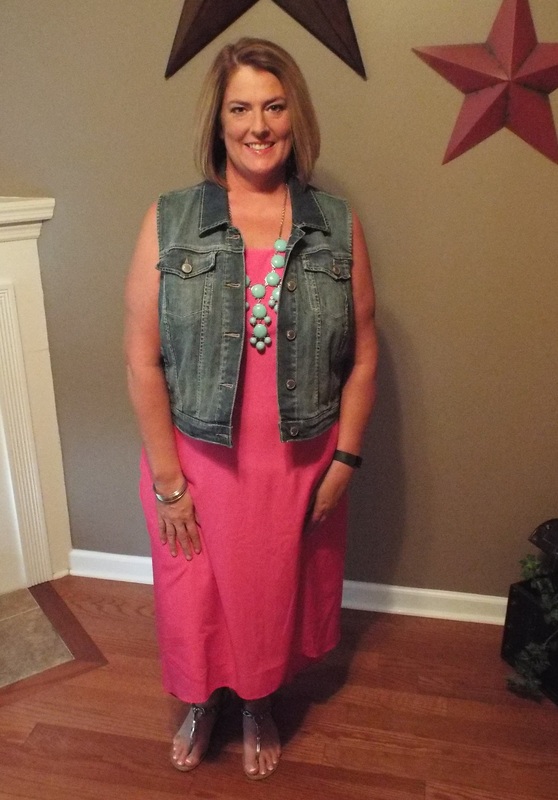 I bought this hot pink dress at Old Navy. It is a little longer in the back than the front (not sure you can tell from the picture). I added my denim vest and chunky necklace to complete the look. I threw on some silver sandals, and I am off to meet the girls for a cocktail….or two.